You know that fulfilling, kind-of-smug feeling you get when you whip up a homemade meal that you get to enjoy with your family? Yup, you can feel the same way about your butter. It may be convenient to pick up butter at the grocery store, but we hope this super-simple stand mixer tutorial will convince you that it’s almost as easy to make butter at home. Honestly, I had no idea how easy making homemade butter would be. I always imagined sitting there, churning butter for hours and then ending up with only a sad resemblance of what I consider good butter. I was wrong. Making butter in your stand mixer takes just around 30 minutes, and it tastes better than any butter I can buy in the store. I lightly salted mine with some good sea salt, but you can throw in any seasoning or herbs, like garlic salt, thyme, rosemary, etc. 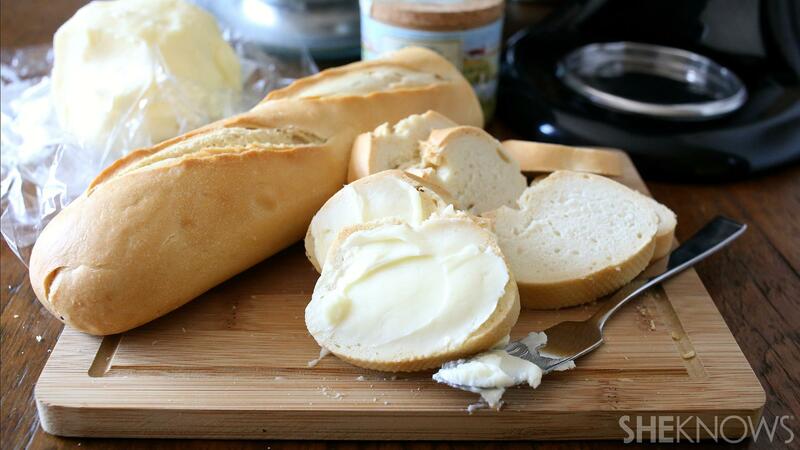 You can make homemade butter using a hand mixer as well. 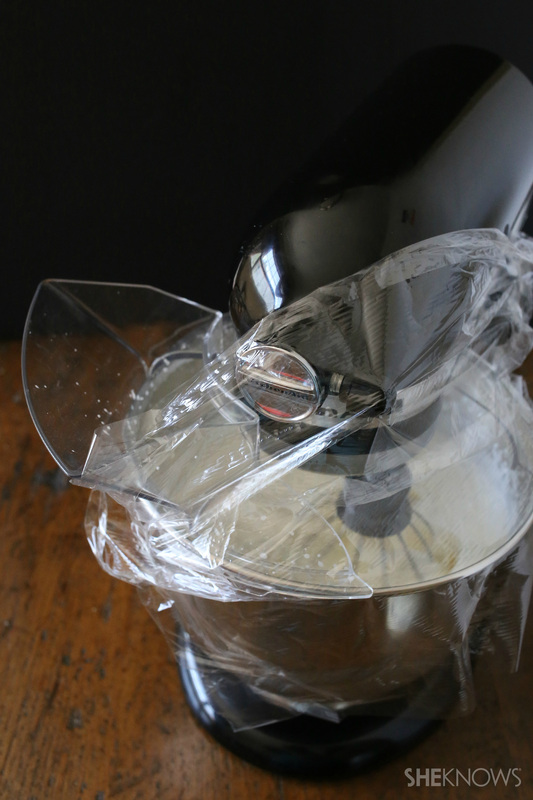 It may take longer, and you’ll want to give your hand mixer a cool-off break every five minutes as prolonged use may cause the motor to burn out. To start off, all you need is a 5-quart stand mixer and some cold, heavy whipping cream. I kept some fleur de sel sea salt nearby because I knew I wanted to salt my butter after it was made. Pour your cream into the bowl of your mixer, and start beating the cream on medium-high speed. I like to put my splatter protector on my bowl, turn it sideways and seal up the back opening with plastic wrap. During the beginning stages of butter-making, it does not splatter too much, but later in the process, it can get messy. Best to keep that bowl wrapped up. After about five minutes, you will see the cream start to thicken up, and soft peaks will start to form. If you’re not sure what soft peaks look like, check it out above. You see how the little top of the cream sorta falls over? That is a soft peak. As you keep beating, the cream will start to thicken, and the soft peaks will give way to thick, whipped cream. At this point, the mixture will still be creamy, and you should not see any liquid.